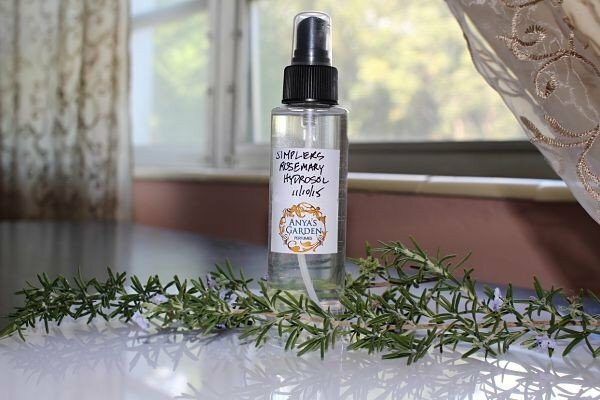 There are times I just want to spray a delectable floral, spice, herb, or other botanical water on my face or body. The well-known botanical waters, rose or orange blossom, are also known as hydrolats, distillate waters, or hydrosols. I’ll call them hydrosols for this article, because that is perhaps the best-known name for them. What’s the difference between Hydrosols and Simply Boiling the Botanical? When you boil a botanical, whether it’s a rose or oolong tea, you are making an infusion. All of the properties of the botanical are being drawn out into the hot water, and you can drink it ‘as is’. When you make a hydrosol, many of the chemical properties of the botanical are left in the water in the bottom of the pot, as in making tea. It’s the volatile, scented properties of the botanical that rise with the steam, condense on the iced top of the container (more about that below) and drip down into a container that will collect the hydrosol. Hydrosol is much more concentrated than the tea, and should always be diluted before using it in food or drink. However, if you’re like me, you make it mostly for spraying on the body or hair, or for splashing on the face, like a toner. Why hydrosol? Besides the health benefits of using a botanical with beneficial chemical components, maybe I just want to capture the ethereal citrusy scent of a rare lemongrass (C. flexuosus) from my garden. It’s sweeter and lighter than the bulbous “regular” lemongrass we all know from Asian recipes, and I find it very refreshing. Maybe I only have a few dozen golden campaca flowers, or a few handfuls of ylang ylang, in all their rare and glorious sensual beauty. Let’s not forget the lemon leaves, rosemary, lime leaves, patchouli, pineapple sage and other fragrant beauties I have in my garden — the list is long, and I love them all! 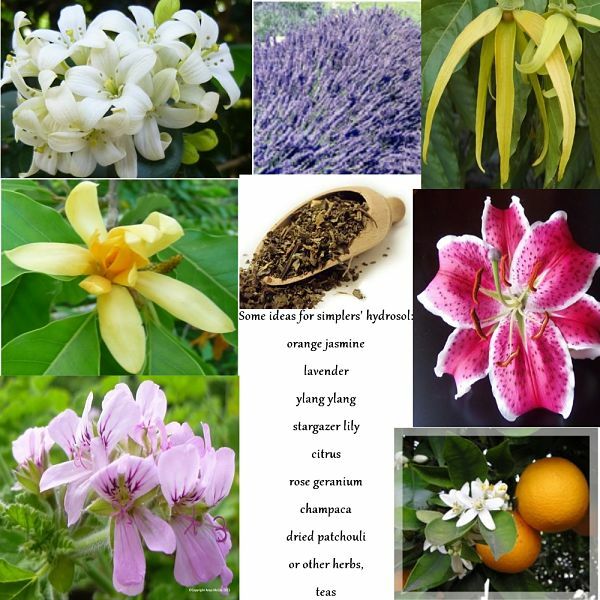 Some ideas for a simplers’ hydrosol – lilies, rose geranium, citrus rinds, leaves, or flowers, dried patchouli or other herbs or teas – etc., etc. I have several distillation devices: a 2 Liter glass hydrodistillation unit from Heart Magic, and a gorgeous piece of art in the form of a 20 Liter copper hydro- or steam- distillation unit from The Essential Oil company. Due to their small size, I mostly get hydrosol, and a little bit of essential oil. Using them, I get anywhere from a pint to three liters or so of hydrosol. These units are great for production, but sometimes when I just want a quick hydrosol, I don’t set up the formal distillation units. Instead, I use a method that was probably used thousands of years ago, and is still efficient and productive today. I call it a simplers’ distillation, paying homage to the ancient simplers’ method of herbal tincturing and infusion. The simplers’ way means nothing is measured, and the botanical is simply covered by the menstruum – water, in this case – and the process is adapted for a stovetop or campfire. Our ancestors in northern climates probably used cold water from a stream or well, but since Miami’s tap water (which I filter) rarely goes lower than 78F, I have to resort to using ice to facilitate the necessary condensation. This condensation of the rising steam is what chills the steam and allows the scented hydrosol to fall into the bowl for collections. Inverted glass lid with metal handle (all non-reactive materials) showing steam starting to materialize after a few minutes of water and rosemary in pot being heated. After steam appears, place a ziplock bag filled with ice on the lid. You will have to replace with a new bag with ice several times during distillation. They can be refrozen and reused over and over. 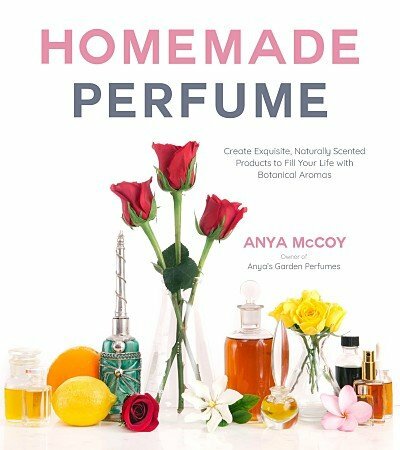 This method is easy any season of the year, anywhere you live, and with any fragrant botanical you have on hand, which can be from your garden, the grocery, or even dried – dried rose petals work well with this method, as do many other dried botanicals. All of the equipment needs to be made of non-reactive material, such as stainless steel, enamel, or pyrex. – A lid with a slight dome, no flat lids. Turn the lid upside down, so the hydrosol will drop down into the bowl. – Plant material: fresh is best, but you can experiment with flowers, seeds, bark, roots and other materials that are dried. – Appropriate size ziplock plastic bag to fit onto the lid. I use one gallon bags. – Ice to fill the plastic bag. You may need to refill the bag several times as the ice melts, so have a backup supply of ice. After the distillation is completed, I let the melted ice in the bag refreeze by placing the bag inside the lid and placing it in the freezer. That way, the bag is conformed to the lid, and in a solid chunk, which slows down the melting time for the next distillation. 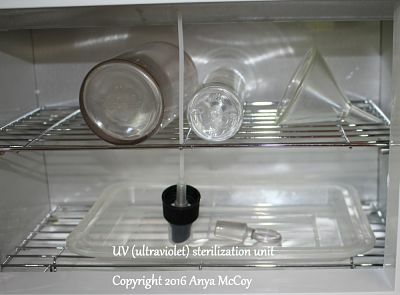 – Sterile container for the finished hydrosol. Directions on how to sterilize the container are detailed below. 2. Place the platform to elevate the bowl in the bottom of the pot, centered. 3. Place the plant material around the platform, up to the top of the platform. Pack the plant material to fit as much as possible in the space. 4. Pour in enough water to cover the plant material. 7. Turn on the heat to high, and when the water begins to boil, turn it down to medium and place a bag of ice on the lid. 8. Maintain an even temperature for the heat, and replace the bag of ice as needed with a fresh bag of ice. 9. 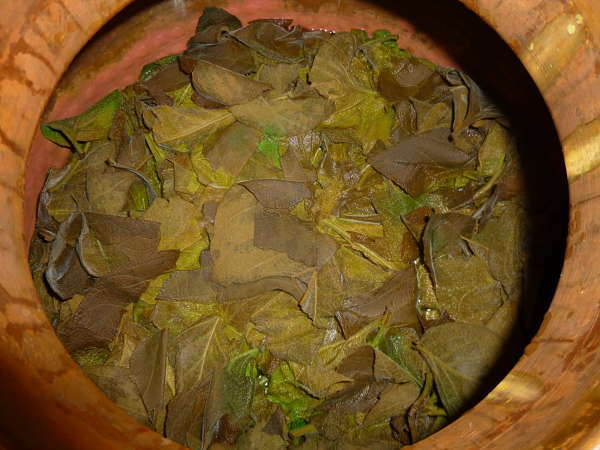 The distillation is finished when the plant material looks “spent”, or you detect an odor that indicates no more fragrant molecules are being extracted. 11. Do not open the lid. Allow the pot and contents to cool down to room temperature. 12. Remove the lid and pour the contents of the bowl into a sterile container and secure a lid on the container. 13. Label the container with date, plant material, and method used. 14. Store in a cool place, out of sunlight. 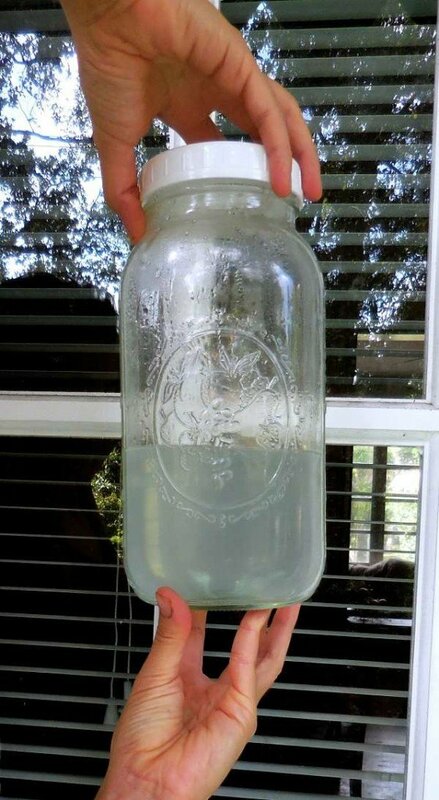 There are several methods that you can choose from to sterilize the container you use for storing the hydrosol, whether it is a jar or bottle. Of course, glass is the best choice, due to its non-reactive properties, and a tight fitting cap is necessary, as a cork will allow microbes to migrate into the container. 1. While the hydrosol is cooking on the stove, place your container and its lid into a separate pan and gently boil for at least twenty minutes. Carefully remove the container and lid with tongs, and place them upside down on a clean towel. Allow them to cool. You may also boil a pyrex or stainless steel funnel at this time if you wish to use it for transferring the hydrosol to the container. 2. Use an alcohol wash of the container and lid and funnel (optional) by diluting 190 proof undenatured alcohol to 170 proof and washing the inside of the container and the lid and funnel with it. 3. I use a UV light box, such as the ones used by tattoo artists and cosmeticians. I place the container and funnel on the top shelf, and the cap on the bottom, facing upwards, so the UV light can reach the inside of it. 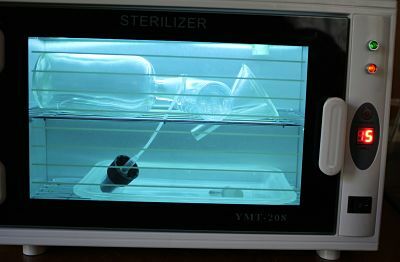 Put the UV machine on for 15 minutes to sterilize. My photos don’t do the process justice. The first link is a good documentation of the process. The author uses dried elderflowers. This video is a great tutorial on simplers’ hydrosol making. She uses fresh rose petals, so it’s a great visual. My instructions and preferences differ a bit from hers: I like a glass lid so I can observe the process, and I think it’s a lot more convenient to place the ice cubes in a plastic bag. Also, as noted above, I’m very strict about sterilization. Hydrosols can grow microbes very quickly if not transferred into sterile containers with sterile lids. Experiment and find some combinations of plant materials that you like. Mint, rosemary, and bay leaf. Rose and jasmine – yum! Patchouli and cedar wood shavings. Citrus and ambrette seeds. Have fun! 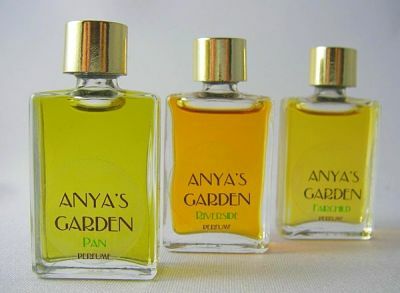 This entry was posted in Anya's Garden Perfumes, Ask the Perfumer, Herbalism, Hydrosols, natural aromatics on January 17, 2016 by Anya.